The Boulevard Cypress is a classic garden evergreen that just keeps on giving. Its wonderful steel-blue foliage looks great anywhere in the garden, and contrasts well with all other garden colors. Use it around the house, or in beds in other parts of the garden. It also makes a lovely plant for large planter boxes. It will grow steadily to around 6 feet tall, and then more slowly until in maturity it may be 12 feet tall. Its size is easily controlled with clipping, but it never becomes very wide, so it doesn’t cause problems and crowd out other plants at all. 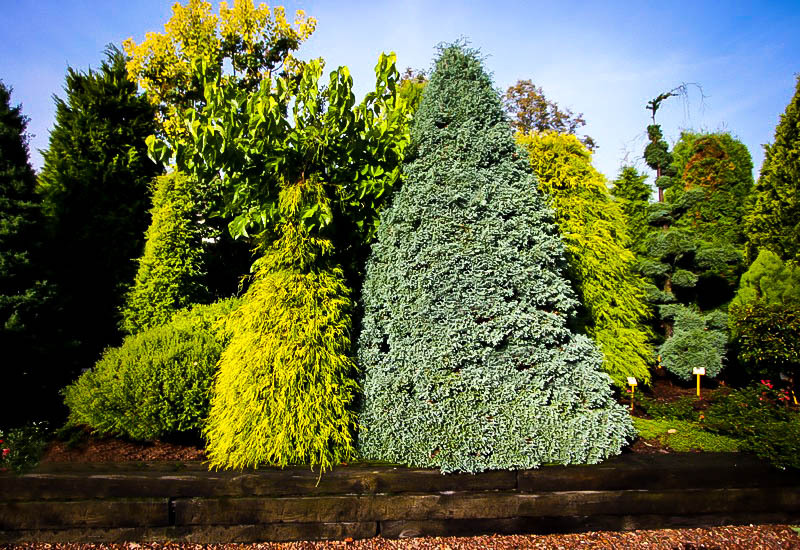 The foliage is soft and mossy to the touch, which is unusual for evergreens, which are mostly spikey and harsh. Children and adults all love to stroke the soft foliage. In winter it usually turns shades of purple-blue, returning to the silver-blue color when spring comes around. 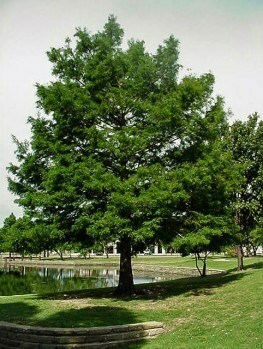 Plant the Boulevard Cypress in a sunny spot in cooler places, and in afternoon shade in hot areas. It is hardy to minus 30 degrees, and thrives in all but the very hottest parts of the country, so it is almost certain this plant will grow where you live. It grows best in soil that is well-drained but not constantly dry. Established plants will not be bothered by normal periods of summer dryness. This plant is cold-resistant, usually untouched by deer, and it has no significant pests or diseases. Just plant it, sit back, and enjoy its beauty. 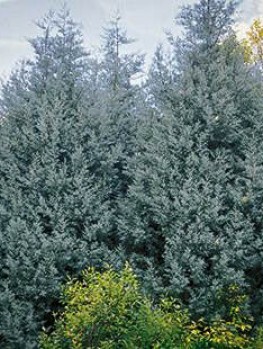 Soft, silver-blue foliage on a graceful, upright evergreen shrub that grows steadily, but never gets out of hand. A plant like that deserves a place in every garden, and it describes perfectly the Boulevard Cypress. 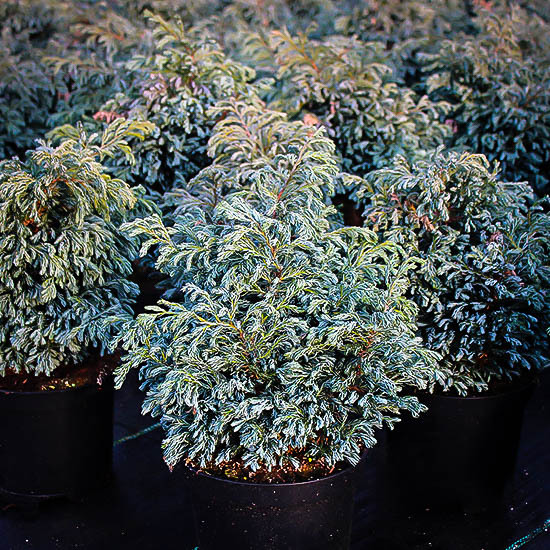 This classic evergreen has proved its worth in gardens for a long time, and it remains one of the top choices, and a ‘go-to’ plant for that contrasting cool-blue color in an easy-care plant. 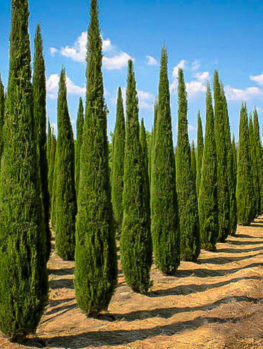 Boulevard Cypress Trees grow at a moderate pace to around 6 feet tall, and eventually will grow taller, while staying only 2 to 3 feet wide. The Boulevard Cypress can easily be clipped for a neater outline, and to control its size, but unclipped it has a natural neatness without being stiff and rigid. In winter the foliage often takes on a beautiful somber purple shade, contrasting well with the snow. In spring the new foliage will return the plant to its silver-blue coloring. 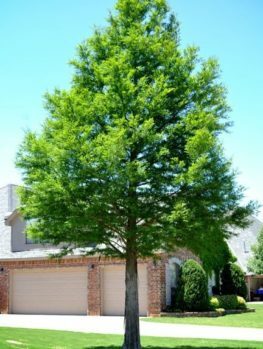 The Boulevard Cypress is a key element for the foundation planting around your home that should be a top priority when improving your garden. A mixture of mostly evergreen shrubs in a variety of lower heights and different forms will soften the hard angles of a building and blend it into the surrounding areas. 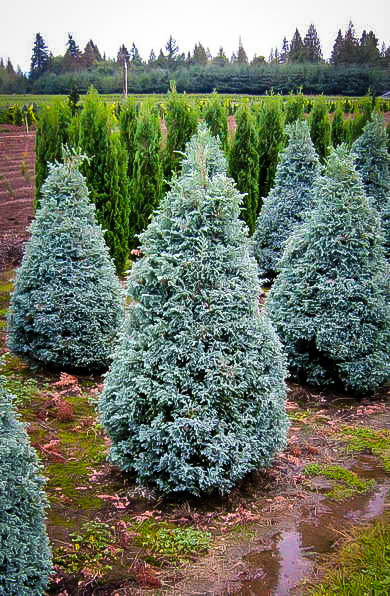 Most of the classic foundations plants are green, so the icy-blue of this cypress is ideal for contrast. Since it needs no clipping, its slightly softer outline contrasts well with the crispness of those plants you do clip. A pair on either side of a door, or framing a low window, is an excellent feature. Use this plant both in the angle between walls and to soften an outside corner. 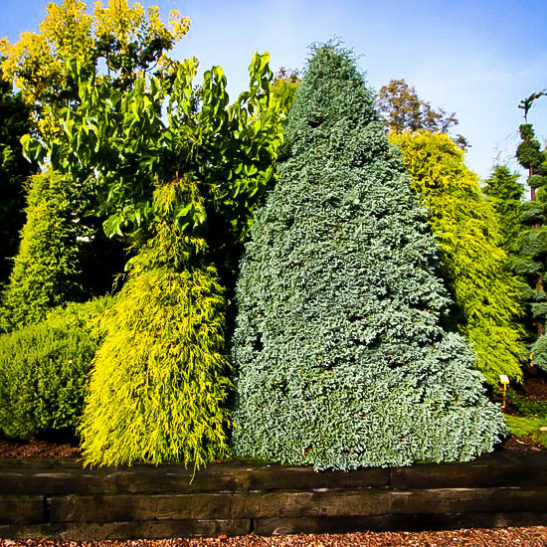 In a completely different way, use this plant mixed with other evergreens of different forms to create an attractive, low-maintenance garden bed that becomes better and better with the passage of time. Mulch it with crushed gravel or river pebbles, and you never need to think about the garden again. 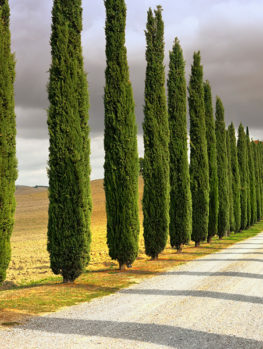 For an interesting short screen, plant a row of these cypress about 2 feet apart along a fence, or wherever you want to create a backdrop, or screen an ugly feature. Plant the Boulevard Cypress in full sun in cooler regions, and in partial shade in hotter places. Morning sun, but some shade from the hot afternoon sun is best if you are in a hot area. It will grow well in any soil that is well-drained, and benefits from more fertile soil and regular watering, especially when it is newly planted. It will tolerate moderate drought when well established, and it has no significant pests or diseases to cause problems. It is usually not eaten by deer in winter. If you want to clip your plant – although it is not really necessary except to keep it a little smaller – then do it in early spring before the new growth begins. The foliage color certainly makes the Boulevard Cypress a favorite, but it is also the soft touch of the foliage that has made it a winner. 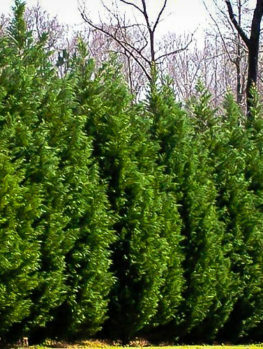 Unlike other bristly evergreens, this is one you will love to stroke. 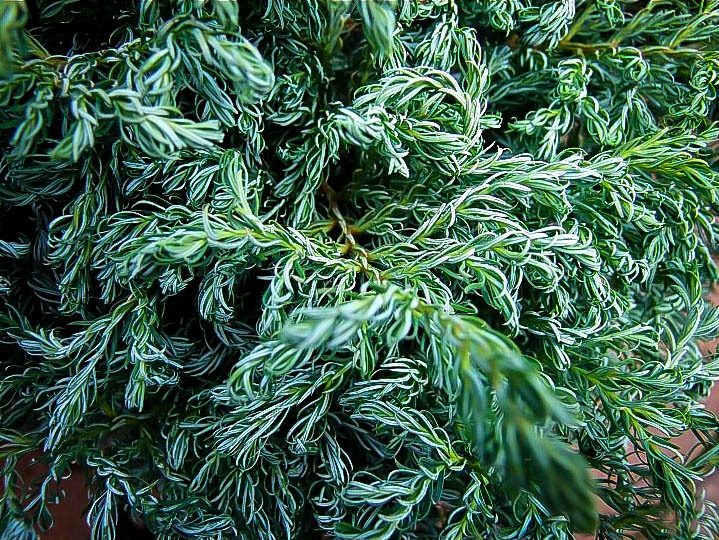 The ferny softness comes from a particular form of the original plant, the Sawara Cypress (Chamaecyparis pisifera). This Japanese tree grows 100 to 150 feet tall in the mountain forests of Japan. 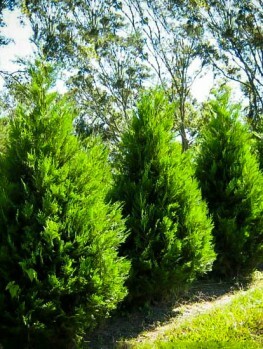 It is not a true cypress, so it is often also called ‘false cypress’. The wild tree is not grown in gardens, but many different forms have been collected. There are three forms of this tree: the ‘filifera’, or thread form, with long whip-like young branches, the ‘plumosa’ form, with ferny, open branches in sprays, and the ‘squarrosa’, or moss form, with soft, dense foliage. The Boulevard Cypress was found in 1934 at the Boulevard Nurseries, Middletown, Rhode Island. It was a branch different to the parent ‘squarrosa’ bush it was growing on. This unusual branch was gathered and reproduced for sale. Obviously, it was named after the nursery where it was found. The business was founded in 1910 and still exists today. Only plants with the name ‘Boulevard’ will be the right thing, and cheap seedling plants can never even begin to approach this plant in color, texture, size or beauty. 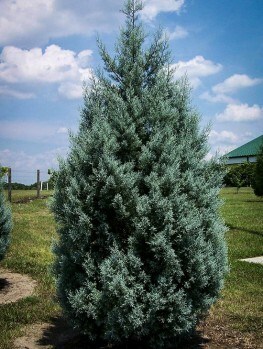 The Boulevard Cypress is a classic that should be in every garden. Despite its long existence it is always in demand from gardeners who know and appreciate how good a plant this really is. We do have a good stock of top-quality plants, but we also know how quickly we will be shipping them out. This means that if you want the best, order now while stocks last.